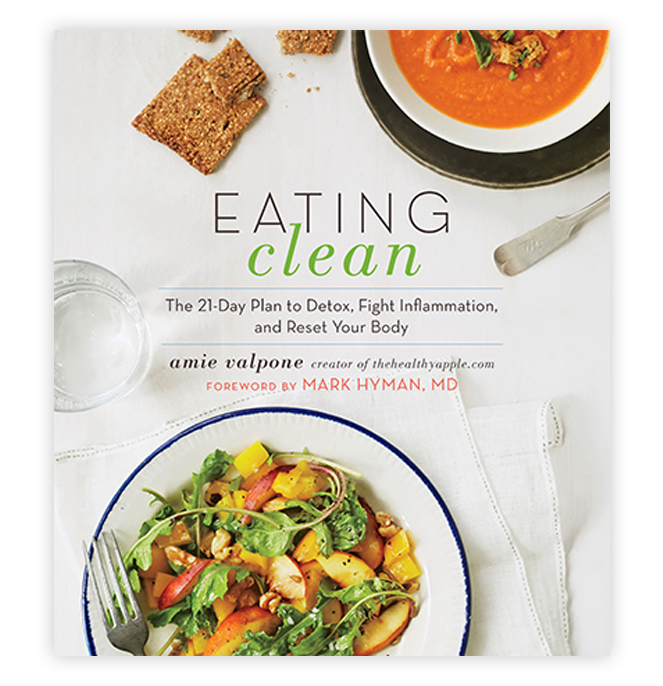 Amie Valpone, best known as The Healthy Apple, healed herself from years and years of chronic illness by resetting her eating habits. Along the way, she became a professional chef, culinary nutritionist, recipe developer and author. I became obsessed with her new book Eating Clean: The 21-Day Plan to Detox, Fight Inflammation, and Reset Your Body, especially after I discovered recipes like this ridiculously delicious Peach Arugula Salad, which is gluten-free, vegan and paleo.